Gnarly AWD RC Fat Trike Is A Toy For "Die Hard" Fans Only! 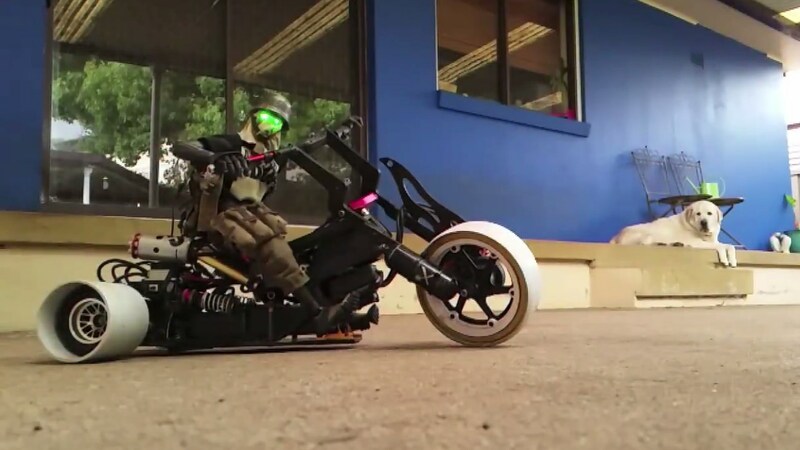 Gnarly AWD RC Fat Trike Is A Toy For “Die Hard” Fans Only! This one is for all of you trike fans out there! Ever wondered if the day would come when you could own your very own trike toy you could ride via remote control? Obviously, the day has come. If you are one of those who always dreamed of having an RC fat trike toy ever since you were a little kid, then this is a dream come true. This thing is gnarly, dangerous and will raise your spirits. It is absolutely exquisite. You can literally do any tricks with it. All you need is clear surface and a dog which will be mortified once it sees this thing moving. As you can see, drifting is one of its perks. You can, however, do anything you are capable of with it. Owning a fat trike like this is truly a MUST! When it comes to toys like this, age does not really play any role. You will immediately become cooler and every single one of your friends will want to get a hold of it. It really is THAT cool! So if you want your toys dangerous and drifty, think no more and get one of these! Treat yourself! Finally, follow this link to see the first ever 3D printed RC trike!